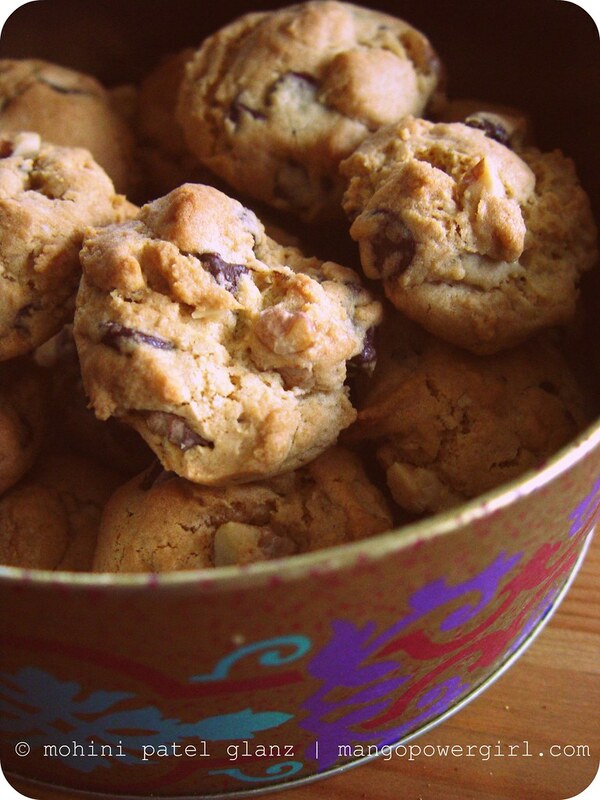 Admit it, who doesn’t like chocolate chip cookies?! I hardly buy them in stores and cafes because I worry about the shortenings and other low quality ingredients often used to make them. I had to come up with a tasty, health conscious alternative made with oat flour. Mine do have have butter, but simply eat them in moderation. Using oat flour also contributes to the tenderness of these cookies, and they are unbelievably soft. They have the right amount of sweetness, and with crunch from the walnuts. Enjoy! 1. Preheat the oven to 150 C (300 F). 3. Add the egg replacer and combine. 4. Add the sifted and mixed dry ingredients (except nuts and chocolate) and mix some more. 5. Add the nuts and the chocolate and mix in with a spatula. 6. Scoop out 1 tablespoon of dough on cookie sheets. 7. Bake for about 15-20 minutes or till the color and edges start to get light golden brown. 8. Let the cookies cool on wire racks till they are room temperature, then store in an air tight container. Wow, what a great recipe. I would like to try this. Noble Pig – Thank you! Let me know how it turns out. I also tried a vegan version with the Earth Balance and it worked perfectly. 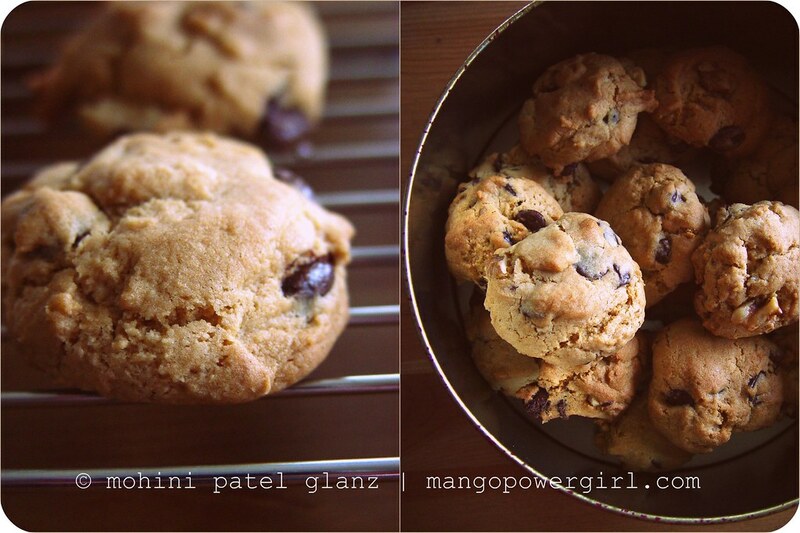 yummy eggless cookies,thanx for sharing..would love to see u on my blog. nice new banner. i am not partial to chocolate chips, but this might be good with chunks of caramel. Hetal – Thanks! I will check out your blog soon.Maybelle’s Parents – Thank you! Brian designed my new banner 🙂 I don’t like caramel, but it’s a nice idea.